When the story of Star Trek Beyond starts off, the crew of the Enterprise will be two years into their five-year mission of exploration and discovery. The ship will show some wear from their adventures, but the crew will show some wear as well. As it turns out, two years of going boldly where no man has gone before has left them a little bit irritable. At least, that’s what John Cho says in one of two videos released by Entertainment Tonight after their set visit to the Enterprise. Hikaru Sulu is a father now, and Cho shows off a picture of Sulu’s baby while teasing a secret plot point and discussing Sulu’s lack of professionalism. Also included in this first video are a look at the new weapons bay as well as the somewhat retro new costumes. The second video does not focus so much on new set pieces, but rather the upcoming 50th anniversary of the Star Trek franchise. Chris Pine specifically discusses the passing of Leonard Nimoy, and how he believes the film itself will be something of a tribute to his legacy. 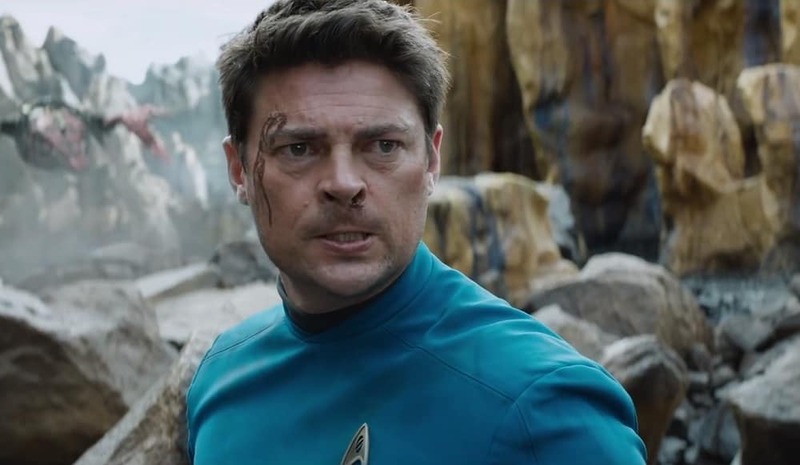 As many already know, Star Trek Beyond will feature new aliens on a new planet, not to mention a new director. With new costumes, new weapons, and an apparently mysterious baby thrown into the mix, this is bound to be a Star Trek adventure like no other. Star Trek Beyond releases on July 22. Directed by Justin Lin, it will feature returning actors Chris Pine, Zachary Quinto, Zoe Saldana, Karl Urban, and Simon Pegg (who also served as co-writer alongside Doug Jung). Sofia Boutella and Idris Elba will feature in new roles.